Love and Buggy Rides, by Amy Clipston Janie Lantz is a cashier at Lancaster Souvenirs and Buggy Rides, where Jonathan Stoltfuz is a buggy driver. A frightening accident brings Janie and Jonathan together in a blossoming friendship, yet daunting obstacles stand between them and something deeper. Can love kindle into flames that burn away fear and regret—and lead them to a life together? 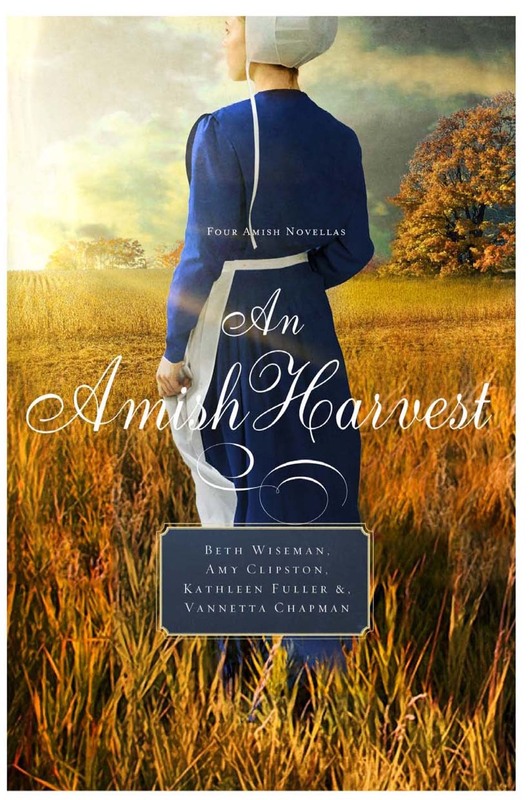 Under the Harvest Moon, by Beth Wiseman When Naomi Dienner is suddenly widowed, she never expects to find love again . . . until she meets Brock Mulligan, an English family friend hired at harvest time. As a sinister presence begins to threaten Naomi, Brock seeks to prove himself trustworthy while struggling with growing feelings for Naomi and her children. Will God open Naomi’s heart—and give Brock his own second chance at love? Mischief in the Autumn Air, by Vannetta Chapman When items start going above market value at his auction house, Eli Wittmer is first thrilled, and then puzzled. But when the house is broken into, Eli and his new bookkeeper, Martha Beiler track down a trail of clues. Will they solve the mystery before the fall festival ends—and discover an unexpected new love? Love and Buggy Rides features Janie Lantz who is a secondary character from The Courtship Basket, which is the second in my Amish Heirloom series. I enjoyed having the opportunity to share Janie's story with my readers. This book is dedicated to my brother, Eric Goebelbecker.